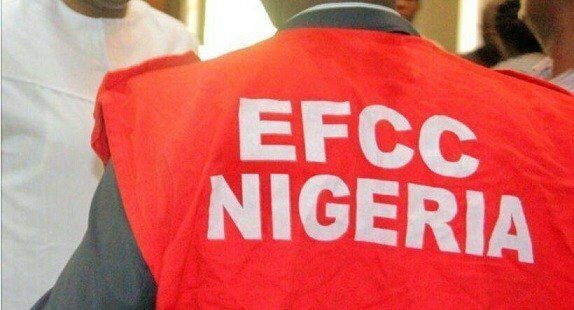 The Economic Financial Crimes Commission (EFCC) and the Independent Corrupt Practices and other related crimes Commission (ICPC) will soon go after Niger Delta Development Commission (NDDC) contractors who collected mobilisation fees and abandoned the projects. The Coordinator/Liaison Officer representing Edo State in the NDDC, Mr Saturday Uwuilekhue, who disclosed this in Benin City yesterday, said the Commission has engaged the two anti-graft agencies to recover mobilisation fees paid to contractors who abandoned projects, just as he said the NDDC was ready to ensure that all projects are completed. On her part, the Director, NDDC Edo State, Dr Akwagaga Enyia, said it was only in an atmosphere of peace that lasting development would come to the area just as she said the Commission was in partnership with the European Union to complete water projects in the state. Stakeholders drawn from the 18 local government areas of Edo state expressed reservation on the ways and manners which NDDC was carrying out projects in the state, just as they lamented the huge number of abandoned projects in the state. They also complained of neglect in terms of slots given to Edo State for various projects like scholarships, empowerment, amnesty beneficiaries and others. They stated this during the Edo State Stakeholders’ Forum with the theme: Peace as a Panacea for Sustainable Development in the Niger Delta. In a lecture at the event, Professor Benson Osadolor commended the agency for some of its interventions and sued for peace among the people for the development to be sustained. He also called for the partnership of the NDDC with state government and other international organisations where necessary to carry out major projects. He cited the joint effort between the Edo state government, NDDC and the Ministry of Niger Delta to fix the Benin- Abraka Road. Osadolor lamented the non-implementation of the 2014 national conference where he said issues of resource control and restructuring affecting the country were discussed.